Microsoft exec Panos Panay confirms the long-rumored device was real, but adds nothing else. Remember when everyone was really sure a Surface Mini tablet from Microsoft was inbound? Then remember how we were really, really sure a Surface Mini would be coming soon—and then it never showed up? Now it's official: There absolutely was a Surface Mini, but Microsoft killed it. That’s about all Panay had to say about it. Why the company decided against shipping something that was “awesome” is unclear. The story behind the story: The notion that Microsoft decided against shipping a mini Surface is a little confusing. Smaller-sized tablets—the Mini was rumored to have an 8-inch display—are standard strategies for most popular tablets such as the iPad, Nexus, and Galaxy lineups. However, the Surface Mini was rumored to be running Windows RT, Microsoft’s ARM-based version of Windows that never gained any popularity. The Mini’s RT-based roots may have been the reason it died on the vine. Panay’s confirmation of the Mini’s existence provides closure to a long-running rumor. The notion of a Surface Mini first popped up in 2013, but reports quickly moved the release date for the device into 2014. Then in May 2014, it seemed like Microsoft was hinting at a Surface Mini when it invited the press for a Surface-themed “small gathering.” The device never made an appearance at the small gathering, however, and pundits were left wondering: what happened to the Mini? All that surfaced afterwards were tales akin to Bigfoot sightings about the “awesome” device that wasn’t. 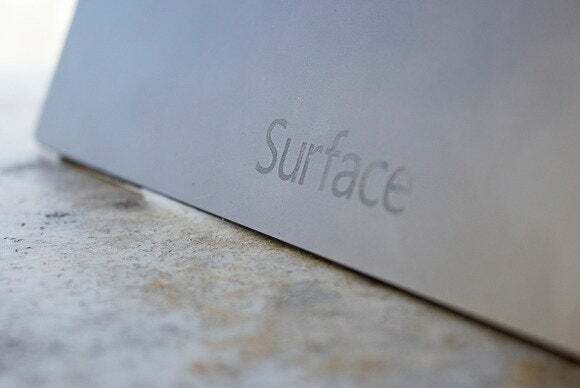 Mention of the Mini appeared in an online version of the Surface Pro 3 manual, and then during a July 2014 earnings call Microsoft made an obscure reference to deciding against shipping a new Surface form factor. Finally, in September 2014, (now former) Neowin writer Brad Sams told the tale of the time he actually held the Surface Mini.